The blushing pink city of Jaipur, India welcomes lovers with lavish palace hotels, a rich history, and the game of maharajas… elephant polo! I knew that traveling India’s countryside from Mumbai to Goa would be a journey of the mind as much as the body. The sights and sounds that this ancient country offers is breathtaking, complete with century old forts and an enigmatic culture steeped in time. Add to that the chance to experience a train built for royalty winding through the countryside and stopping at small towns while allowing travelers to revel in the traditional way of life found only in this part of the world. 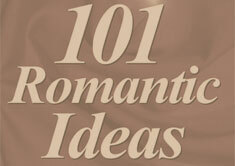 The romance of it all couldn’t be sweeter. If you combine all these components together you have a journey that will never be forgotten. Alas you have a journey aboard the Deccan Odyssey. The Deccan Odyssey is India’s newest addition to the tourist market and it is every bit as luxurious as the Blue Train of South Africa, the Orient Express of Europe and the Eastern and Oriental of South East Asia. Three years in the making, the Deccan Odyssey is a dark blue affair highlighted with gold stripes. The coaches are named after well-known forts, monuments and sites throughout India and they are names you will become familiar with on your eight-day journey. The Deccan Odyssey travels up to 60 miles per hour as it coils its way through Maharashtra beginning in the famously well-known city of Mumbai (formerly Bombay until 1976) and ending up in the very Portugal-influenced Goa. Following Goa the Deccan Odyssey turns around to head back to Mumbai via an entirely new route away from the coastline. It’s the small towns and beaches as much as the impressive large cities that will allow you to see an India that most travelers are not afforded the chance to experience. So it was day one of my journey that I found myself in Mumbai. Mumbai is known for many things, but the most important at the moment seems to be Bollywood. While it’s not Hollywood, California, you can still find India’s version of its well-known celebrities plastered on row after row of billboards. Mumbai has a modern feel; it’s relatively new in many parts with a modern architecture accentuated by old-world gothic style buildings. It wasn’t until the evening that we boarded the Deccan Odyssey, treated to a local Indian dish and waiting for the journey to properly get started. For the most part, the train traveled in the evening and stopped during the morning and afternoon for passengers to discover the ancient land. As I awoke on day two, I was treated to hot coffee and toast brought to me by my valet. Always attentive, each car’s personal valet is continuously on call and I remained surprised at how our valet always seemed to appear at just the right time whether it was my stopped up drain, my lack of hot water or even the afternoon when I locked myself inside my cabin. Like magic, he was there to fix the problem and he did it with a smile, although I couldn’t help wondering what he was thinking behind his friendly façade. Day two was a welcome ceremony in Ukshi station, mountains and backwaters calling us onward as we were taken to Rai Jetty for a boat ride alighting on the other side at the famed 17th century Jaigad Fort. We also had the chance to experience the Konkan village, which is a must on your trip since there is no access via road or rail to this area of India. We reveled in the opportunity to enjoy a Konkan lunch followed by rest and relaxation on the beach in Ganapatipule with the Arabian Sea as an enticing backdrop. In the evening we were hurried back again to the comfort of our temporary home where dinner awaited, and I gathered with my new friends from other around the world to talk about the day’s adventure. On day three the train stop is at the Sindhudurg Nagari station. Again, it’s a chance to see an India unvisited by most tourists. In fact, each morning when we arrived at a new destination there were hordes of friendly faces to greet us. People from miles away had traveled all night to arrive in time to witness the royal train as it stopped to pay a visit to an almost forgotten station nestled among the Indian countryside.The temples here are dedicated to the Hindu gods and they stand as shrines years after they have been built, a gentle reminder of the native culture. It is here at the Fort of Sindhudurg that 6000 workers toiled day and night for three years to complete this massive structure. The fort and surroundings is on 48 acres and is said to have been designed by Shivaji himself, a beautiful monument sitting right on the water—but surrounded by the rocky coastline that was penetrable by none but the most stalwart of boatmen. Another famously executed beach lunch and an afternoon swim in the Arabian Sea calls after I have had a chance to look around the area of Tarkarli. The Konkani-style cottages are open and waiting for those who enjoy afternoon naps. From that point we take a boat ride through the Tarkarli Creek to Kalse Jetty. It’s about now that the passenger’s on the train are buzzing about tomorrow. Tomorrow is Goa. Goa seems to be larger than life to those of us who have not been there. The Brits are especially excited, but one couple comments it’s a bit overrun with tourists. Nevertheless, we wait in anticipation for the morning’s embarkation. As we arrive in Goa most of the passenger’s are taken with the overpowering sights, sounds and smells. Indeed, it feels like a little piece of Portugal in this remote part of the world. Bougainvilleas hide whitewashed houses and tiny alleys with the occasional stray cat beckon. The natives smile and wave, they are well versed in the tourist trade and know how to make a visitor feel welcome. For the most part I explore Goa alone losing the group on purpose in order to get a feel of what it is that everyone has been talking about. The churches we are taken to on the first stop are impressive, but we all agree that you can do churches in Europe, besides these catholic churches feel somewhat odd in this country steeped in Eastern religion. It’s a fact that you can’t miss old Goa and the Mangeshi Temple. I immediately decide that Goa is a good place to return in spite of my British friends’ warnings. Who wouldn’t want to spend some time on the virgin beaches that are still waiting to be explored and spend the night in one of the small inns that are perfect for an inexpensive week-long stay. Not to mention that no matter where you visit in Goa you can always find shrines and shops just waiting. As we push off that evening from the station we head to Pune, the well-known capital of Marathas. It’s here in Pune that we visit the Raja Kelkar Museum, a quaint little place with collections from the 17th, 18th and 19th century. While the owner realizes he has a gem of a collection, he is quite humble and welcomes visitors with a smile. Many tourists find their way to Pune only to visit the world-famous Osho Ashram. While this is one place I would have been happy missing, it’s interesting to witness a cult in action. People from around the world come to live at the Ashram for day, weeks or months and, for lack of a better word, to find spiritual meaning. It’s questionable if they find it, but once inside you do have the chance to dance all morning, eat all afternoon and take a large selection of metaphysical classes sometime in between. What I enjoyed the most was the shopping bazaar just up the street where I found an overabundance of Indian fabrics, purses and shawls to take home to America. Day six found us in Aurangabad. It’s here that monuments, caves and temples give way to the fortress of Daulatabad. The world famous Ellora Caves beckon the visitor, it’s a well-known world heritage site representing a variety of religions. In fact, these caves’ 34 carved rock-cut temples signify Buddhist, Jain and Hindu faiths and are said to be the work of priests and pilgrims from each religion. The 12 Buddhist caves are from 600 to 700 AD, the 17 Hindu caves from 800 to 1000 AD and the five Jain caves from 1000 to 1300 AD. Each cave is rich with the carvings of elephants, lotus and lions while also giving the air of a peace and tranquility not found in today’s modern world. The following day is a visit to another set of popular caves called the Ajanti Caves. These caves were discovered by accident during a hunting expedition by a party of British soldiers. Buddha plays a large part in this landmark, and we saw murals and sculptures of The Birth of Buddha and The Thousand Buddhas. There are also paintings on the ceilings depicting elephants, bulls, the black princess and a row of dancers with musicians.On day eight we arrive back in Mumbai leaving the train early in the morning. Mumbai seems different now that we have explored the countryside and met the people. The smiles are the same, but as you journey through India each day gives you a better understanding of what India really is from the inside out. While in India you must also make time to shop. Sure, the small villages are a wonderful place to find local antiquities, but it’s in Mumbai where you will find some amazing bargains. I had a shopping list for shawls, shoes, incense and statues and I found everything I needed at an obscure street market within 30 minutes. The vendors welcome bargaining so don’t be shy. For those looking for the well-known bazaars then it’s Manish Market, Chor Bazaar or Kabutarkhana and Fashion Street. The most I will remember is that at every stop along the way locals greeted us with smiles and cultural ceremonies. They offered us a glimpse into their world, their religion and their mindset. It’s a feeling that can only be experienced in the moment, but that will never be forgotten. Deccan Odyssey offers 44 suites in 11 cars, and a total of 21 coaches in all. The décor is highly appointed offering a rich interior reflecting the face of Indian royalty. You can expect air-conditioned rooms, foreign exchange facilities, a small health spa that offers a beauty salon, steam room and massage facilities. The dining room serves a different selection every night, and the chef is open to special orders. I know because he made me a fabulous pizza one evening upon request, and I discovered he had been trained in Italy. A trip to India is an experience that will awaken all your senses. I even made the front page of the local newspaper there during a colorful ceremony welcoming us one morning. However, my most fond memory is the afternoon I stood with friends in a crowed street and announced, “See the elephant walking down the street?” Indeed, this elegant creature made his way toward us as my friend laughed and said, “How many times do you get to say that in a sentence.” It’s true, but in India you see it quite often. In fact, elephants are sacred in the country since Ganesha is one of the most revered gods. No matter what experience you will remember, you will soon come to understand that as you open your mind and senses you can be sure that this magical train ride through time will be with you long after you return home. Mention India’s Golden Triangle and travelers can quickly come up with two stops on this must-see itinerary: Delhi and Agra, home of the Taj Mahal. But the third leg of the Golden Triangle is equally fascinating. At the edge of the desert, Rajasthan’s capital city of Jaipur is a destination all its own. Most buildings in the city are painted pink, a sign of welcoming. The color, which was chosen for the visit of the Prince of Wales in 1876, also has a practical side: it cuts down on the glare of the midday sun. 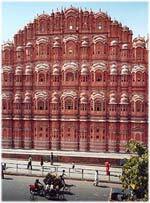 The most beautiful blushing pink building, a true symbol of Jaipur, is the Hawa Mahal or the Palace of the Winds. This five-story building is actually not a palace at all but a collection of 593 screened windows that permitted the ladies of the royal court to look out upon street life without being seen. The City Palace is still home to the royal family but we found several museums here featuring everything from textiles to art to weapons. One of the most fascinating stops at the palace is the artisans’ area in which the crafts of Rajasthan are made and sold. We watched the manufacturing of handmade paper, the creation of the famous blue and yellow pottery for which Jaipur is known, and the production of the famous miniature paintings. After our look at the historic museums of the palace, it was time for us to explore Jaipur’s history in a more active manner: on elephant. At Jai Mahal Palace, we were to experience, if not the sport of kings, the sport of maharajas. We were to play Elephant Polo. Jai Mahal Palace is the world’s only place where visitors can watch this unique sport played year around. Although it’s not available every day, guests can check with their hotel for dates and times to watch and experience this one-of-a-kind sporting match. Climbing high atop the elephants, each manned by a skilled mahout, two teams of three players each received their sticks, modified in length for playing elephant-back. “Let the game begin!” the announcer yelled, tossing in what looked like an inflated volleyball. Pop. Make that a deflated volleyball. After an elephant stepped a little too close, it was time to start again with a new ball. The chase was on, albeit at an elephant’s pace. Sticks swung. Elephants bumped each other. Mahouts maneuvered the beasts into position. Another ball popped. In the end, our team lost but the game was well worth the effort. After one final photo, it was time to head back to our room at Rambagh Palace and to (where else?) the Polo Bar. Surrounded by polo trophies and memorabilia of the late Maharaja, we proudly recounted our elephant polo match to our fellow travelers. Like our stay in the maharaja’s palace, it was a day we’ll never forget. For more information on Jai Mahal Palace and Rambagh Palace, contact the Taj Hotels at or see http://www.tajhotels.com. Paris Permenter & John Bigley are founders of www.LoveTripper.com – a romantic travel site featuring getaways of special interest to lovers in search of a honeymoon, a destination wedding, or a weekend away.